RCI brought 16 sales executives from its call centers in the United States and Mexico to the region to provide them with information and help their sales. 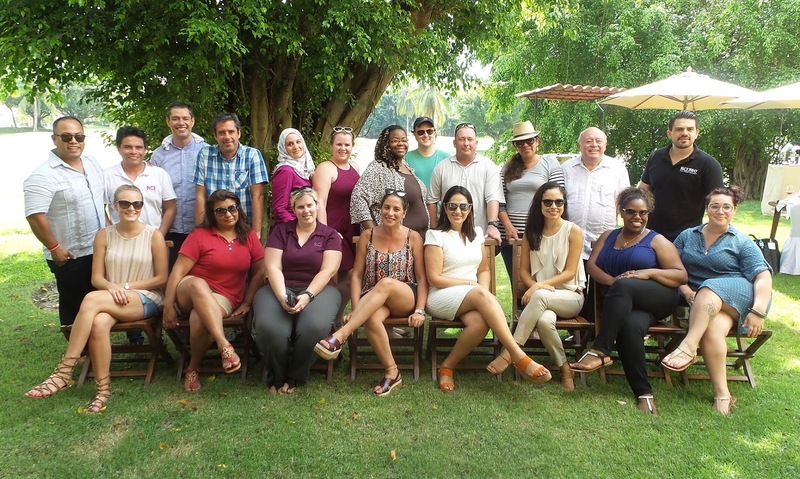 RCI (Resort Condominium International), the company with the largest timeshare vacation network in the world, organized a FAM trip to the Riviera Nayarit and Puerto Vallarta from October 17-22, 2016. The importance of this promotional activity lies in the ample presence of RCI associates in both destinations, where they have over 20 hotels registered in their exclusive programs. “Even though the travel agents who visited are based in Mexico and the United States, RCI’s global network of millions of members gives us the opportunity to attract tourists from many other regions worldwide beyond our natural and emerging markets,” commented Marc Murphy, Managing Director of the Riviera Nayarit Convention and Visitors Bureau (CVB). The Promotions staff of the Riviera Nayarit CVB and the Puerto Vallarta Tourism Trust gave presentations on both destinations so they would have all the most relevant information to help with their sales. This FAM trip, which RCI organizes to the region every year, included 16 sales executives— 12 from their call center in Indianapolis and another four from their Mexico City call center. The group’s activities during their stay included on-site inspections at various hotels to see the facilities and experience the level of service available in the Riviera Nayarit and Puerto Vallarta.